Presenting a wealth of examples throughout, the book draws together contributions from leading academics and practitioners from institutions and organisations such as the DOE, European Commission, WWF and CPRE. 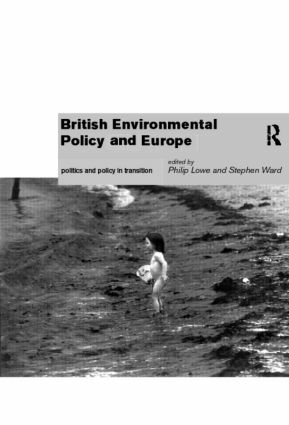 'This is refreshing and is corrective of a narrow legalistic approach…The book is well written and provides those interested in EC environmental law with a basis for further study.' - Scottish Planning and Environmental Law. Philip Lowe is a Senior Lecturer in the Centre for Rural Economy, Newcastle University, UK. Stephen Ward is a lecturer in European Politics at Salford University,UK. He previously worked as a research officer on an ESRC funded project examining the imapct of Europeanisation on the British environmental sector.